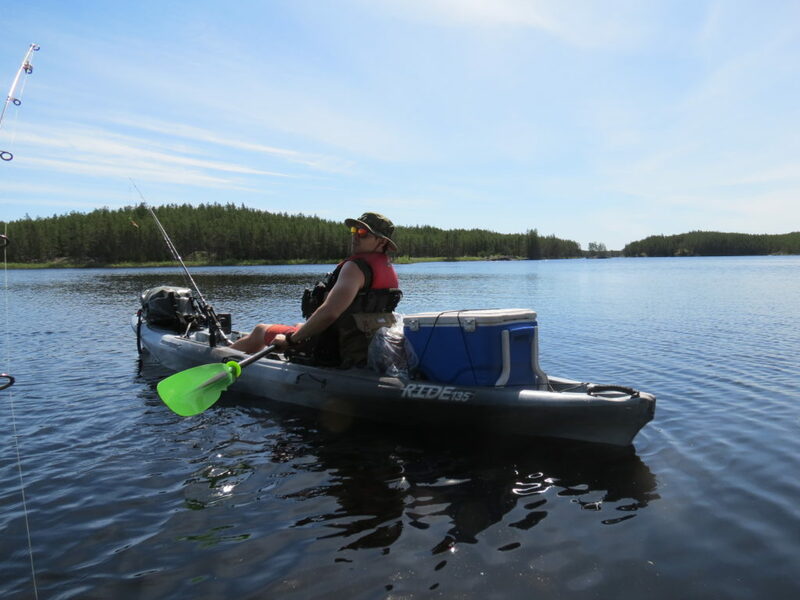 This last week, I took my friend Riley and my two fishing kayaks and headed into Nopiming Provincial Park. Our destination was Cole Lake, and our route was the Rabbit River. 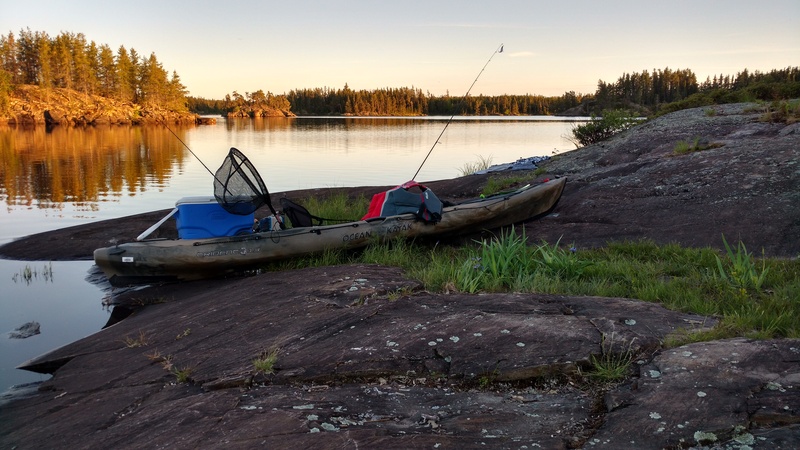 The plan was to spend a day paddling in, then two full days of fishing, and a day paddling out. Naturally, as with most of my plans, this one didn’t quite work out. It was a rocky start. I almost couldn’t make the trip, having sliced my toe really badly the night before leaving. As it turns out, you can pack a lot of mud and gravel into a cut without making it worse. I don’t recommend it though. Figuring I could power through it, we left on schedule and arrived at the Rabbit River on Monday morning. 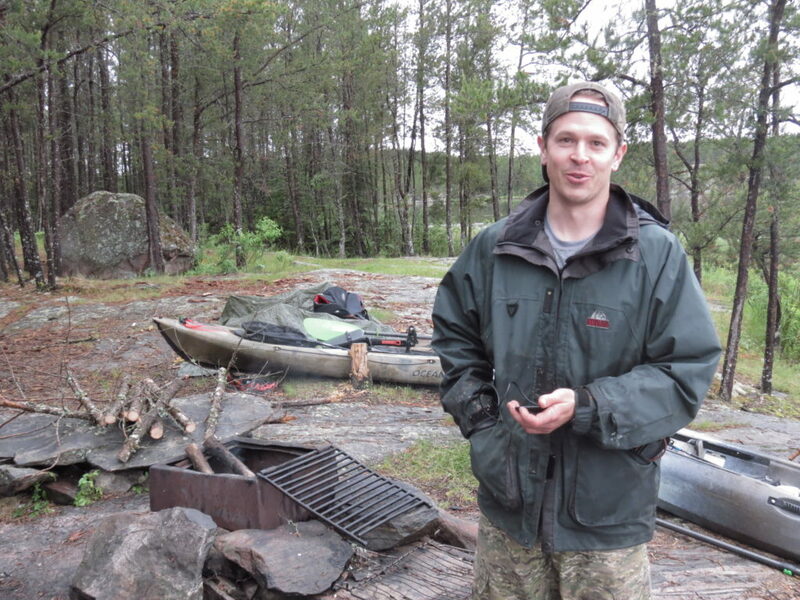 This was Riley’s first time going camping using the kayak, and packing his gear into it was a new experience for him. We spent some time and made everything fit before launching into the river. As always, it surprised both Riley and I how much gear we could actually take with us, and it was looking like we would have a nice luxury campsite. 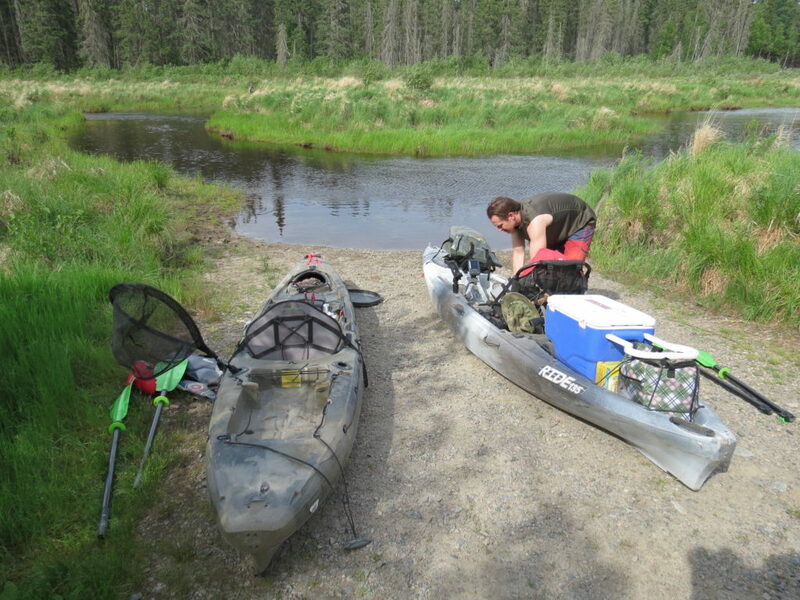 When we finally got to paddling, we found the water level to be near perfect for our purposes. The water in the lowest level of the river was around 6-8 inches, which is just the right amount for my fishing kayaks to float through easily. 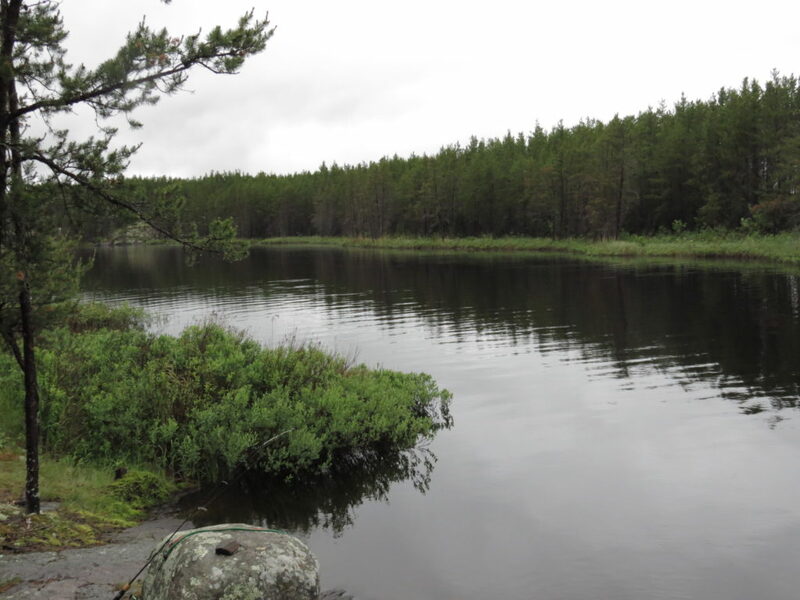 We only had to get out and walk the boats once, and that was just before the first portage, which was fine with us. 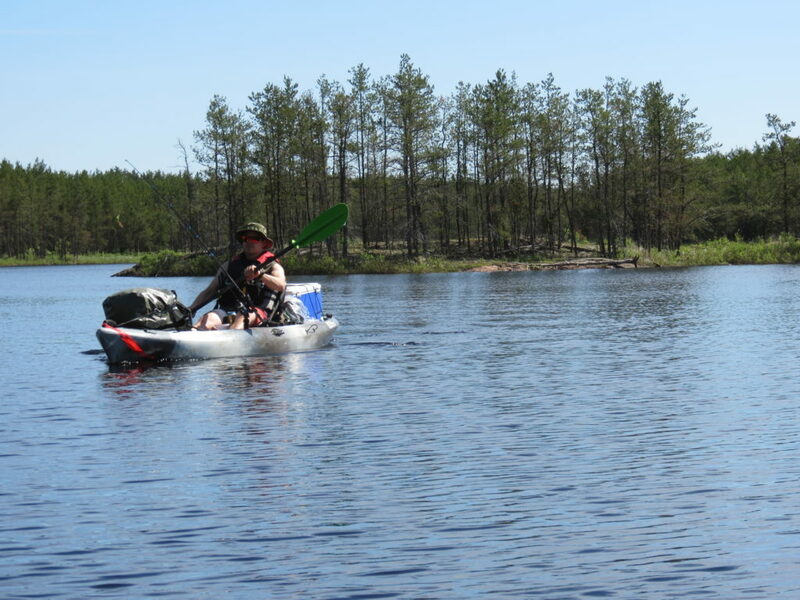 The first portage proved to be one of the more difficult ones, simply because it was the only one we actually had to get out and drag the kayaks around. Near the top of the portage was a huge beaver dam, which meant that the river for the entire rest of the way into the lake was nice deep water. We didn’t have to get out and walk our kayaks again a single time the whole way (aside from portages of course). The next portage, as well as all the remaining ones, was nice and easy. Both Riley and I simply got out and pulled the boats through the shallow rapids. While this was much easier than dragging them over the ground, it laid a solid beating on my feet and ankles. By the time we had gone in and out, I had amassed a nice collection of scrapes and bruises. The trip in was relatively dry. But it was just a short time after we set up our tents that the rain started coming in on us. Unfortunately, we had to spend the rest of the evening sitting inside our tents hoping the rain would stop. We ate dinner inside the tent, played on our phones for a little bit, and ultimately just ended up going to sleep for the evening. It was not a great start to the trip and I was hoping that morning would bring clear skies. Nature is a fickle mistress, however, and morning brought more of the same. We awoke and ate breakfast under another gloomy grey sky. The rain was holding off, though, so we decided to get some fishing in while we could. This turned out to be a great idea and for the hour or so we got onto a huge school of walleye. Riley is allergic to eating fish, and I didn’t want to cook any up just for myself, so we just enjoyed some catch and release. 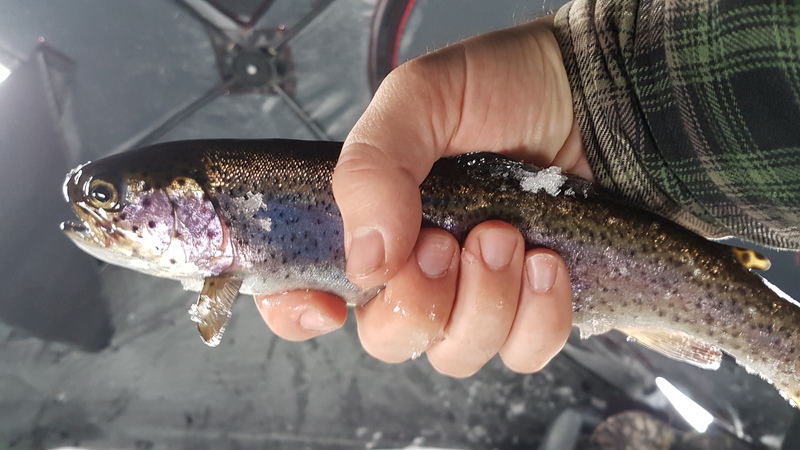 After around an hour of catching fish non-stop, the rain started up again. We headed back to camp and sat around in our tents, again. I decided to take a nap. When I woke up in the afternoon we had clear blue skies for the first time in 2 days. We loaded up and took the kayaks out to finally enjoy some nice weather fishing. We headed immediately back to our hot spot and just carried on where we left of. Walleye after walleye, even a pike or two. 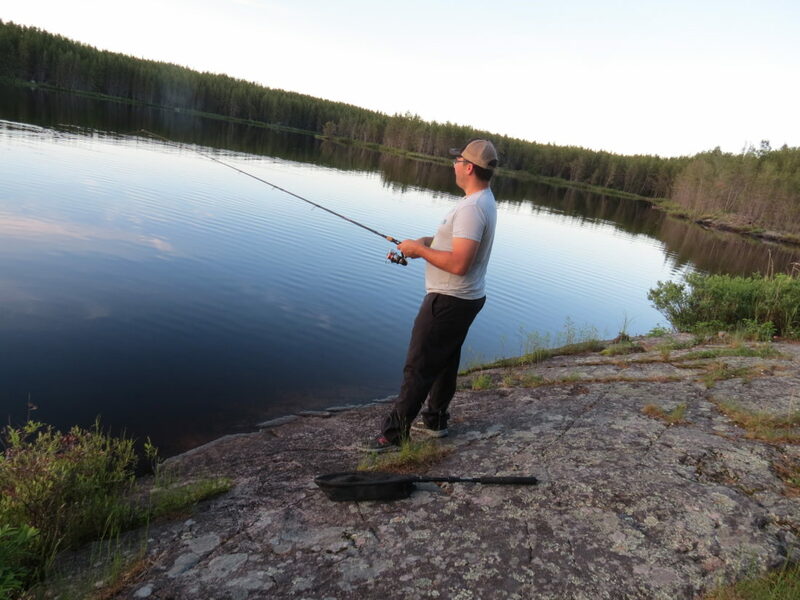 We stayed and caught fish for the rest of the evening before heading back to camp for supper. During dinner, as we were relaxing beside the lake, we discussed our schedule. We suspected that the rain would be back in the next day or two. Of course, we didn’t feel like spending more time waiting inside our tents. Figuring we had both caught more than our fill of fish, we decided that come Wednesday morning we would pack up to leave. 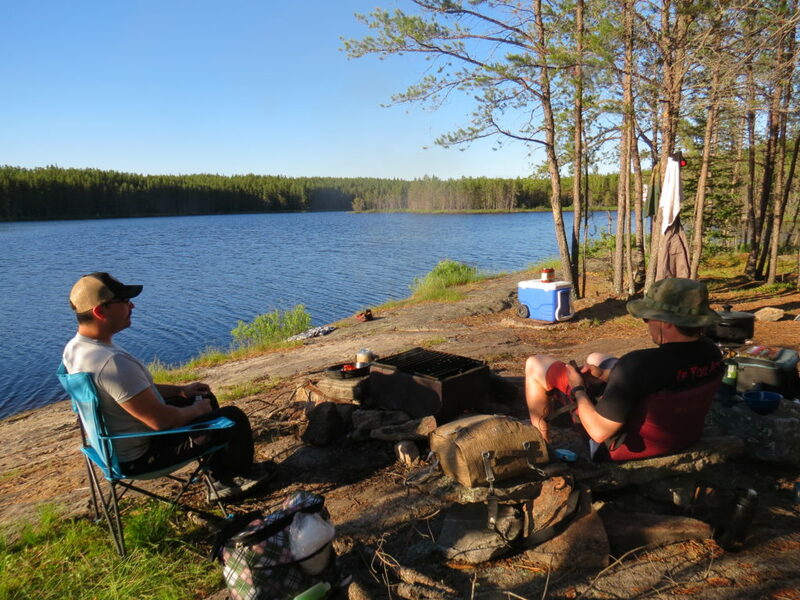 The plan was to fish our way out of the lake and up the river towards the first portage. From that point we would head back to the launch and make our way home. Basically, we decided that all we would be missing by leaving early was another night in the tent, and we were both OK with that. The paddle out was relatively easy and we were lucky that the sunshine held for the whole day. We reached the launch and were on our way home by ~6pm. It worked out well for me because I was beginning to worry about my cut toe. Over all, the trip up the Rabbit River was fun. Being honest, this was the first time I’ve had to sit inside my tent while I waited for rain to stop. That part was not so fun. We toughed it out though. 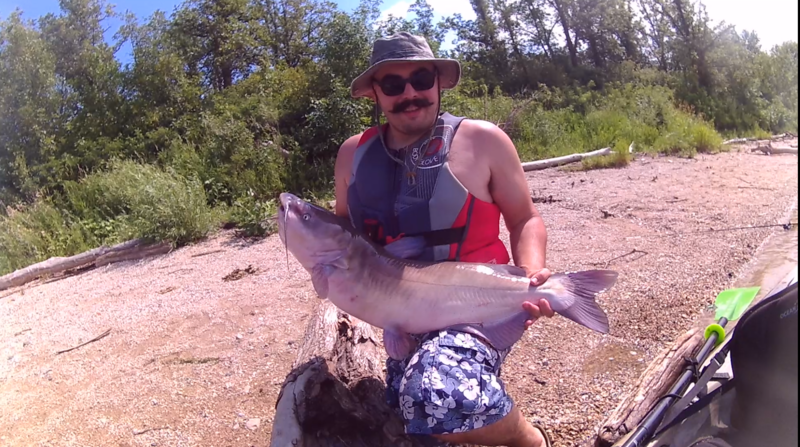 We were rewarded with some of the craziest fishing that either of us has ever seen. There is simply no other location that I have fished where I can pull up a walleye every 30 seconds. This is not my first time up the Rabbit River, and it certainly won’t be the last. Special thanks to Riley for joining me on this trip.